Beside our sales hours in November and March our office is open on Tuesdays and Thursdays. The best time for planting is late in autumn or early in spring. Therefore, our tree sale takes place in the months of November and March. Come to Poysdorf without traffic jams! Due to the completion of the Weinviertel motorway A5 you can now reach us even faster! 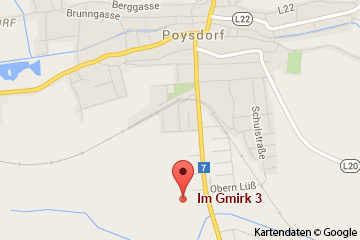 Take the exit Poysdorf Süd and you will find us directly at the beginning of Poysdorf on the left street side.